In ancient Egypt, the Egyptians used a woman’s urine to establish if she was pregnant or not. They would urinate on certain grains and if the grains germinated, the woman knew she was pregnant. Imagine having to wait a few days for the result. Fortunately for us, times have changed, now we simply pee on a plastic stick and we have the results in a matter of minutes. When you do find out that you’re pregnant, one of the greatest joys is knowing exactly when to expect your baby’s appearance into the world. This gives you a sense of control so that you can plan everything in advance and prepare yourself for your little one’s arrival. Continue reading to find out how to calculate your due date so you can be prepared for your little one’s grand entrance into the world. Most women are not 100% sure when they ovulated or when conception took place. To help in ascertaining the due date, science has made it quite easy. Your due date or EDD, Estimated Date of Delivery, is calculated by adding 280 days or 40 weeks to the first day of a woman’s last menstrual period. This might seem a bit odd because you were not pregnant on the first day of your period, but this helps the medical field to calculate your due date as precisely as they can. You can, therefore, take the date of your last period and use a diary and start adding 280 days to find your due date. Another way to calculate your EDD and therefore how many weeks pregnant you are is by asking your doctor to do an ultrasound. This is done in the first trimester, and the earlier the better. This is because the measurements provided in the first trimester are the most accurate estimation of your baby’s age because all fetuses tend to develop at the same rate. The doctor will measure the baby from one end to the other, also known as the crown-rump length (CRL). Due to decades of research on many embryos and their crown-rump length measurements, the doctor will be able to give you a precise due date. Determining the EDD is generally not done this way in the second and third trimester because babies development rates are different in these gestation periods. But what if you can’t get to your doctor just yet and you really want to know your due date and how many weeks pregnant you are? Then, the due date calculator is the easiest way to calculate your due date. There are loads of apps and websites that you can use. All you have to do is enter the first day of your last period date and it automatically calculates your due date. These handy tools use Naegele’s rule. This rule states that if you add one year from the date of your last menstrual period and subtract 3 months and add 7 days to that date, it will give an accurate due date. But instead of you having to figure it out, it does it for you automatically. Very few babies are born on their projected due dates. They either make their appearance a few weeks before or a few weeks after the EDD. There are some other factors which may influence your due date, for example, if progesterone levels climbed more slowly in the first weeks of gestation, the baby can take longer to come. Also, the longer the embryo took to implant, the longer the gestation period. Basically, the baby’s development rate causes late or early birth. In other words, the baby will come when he/she is good and ready. Think of it this way. Parenthood is a great way to work on the patience aspect of our personalities. Baby is just giving you a sneak peek of what’s coming. Whether your baby is early or late, try not to fixate on that date. Rather start daydreaming of the birthday parties, hugs, and kisses that you will share with your baby. And enjoy your pregnancy. It really is a miracle from heaven. You were chosen to be this baby’s mother and you are going to be a great one! Sometimes, you can get to a point in your life when you’re tired of the “same old” you. You don’t feel all that good about who you are, lack confidence, and you’re merely going through the motions of what feels like a drab and lackluster existence. Life is for living to the fullest, not for stagnating. If you want to start being at your best so you can feel better and have more confidence, then consider these five tips below. Did you know that much of your confidence comes from your smile? If your teeth are yellowing or stained, then you are going to be more likely to remain tight-lipped. One way to feel far better about yourself is by taking care of that problem with teeth whitening. Within a few hours of sitting in a dentist’s chair, you can be grinning from ear to ear with confidence. More than 35 percent of US citizens are obese, which means around that many are not getting enough exercise. If it has been a long time since you pounded the pavement, don’t you think it might be time to start? Choosing to get fit and healthy can be a monumental decision and one that helps you to feel better about yourself and look better too. What’s more, it’s something you can do with friends, expanding your social horizons. If motivation is a barrier, get yourself an exercise buddy, or hire a personal trainer to help keep you focused and accountable. The average woman will work almost eight hours a day, with the average man around eight and a half. By the time you come home, do your chores, feed the pets, and help the kids with their homework, you’re slapping dinner together at the last minute – be it nutritional or not. Draw a line in the sand and say enough is enough. If you want to feel and look good, you need to be more conscious of what you are putting in your mouth. Get that old cookware out of mothballs and start whipping up more fresh meals, rather than relying on processed food. A new diet coupled with exercise can transform both body and soul. When was the last time you went shopping and bought yourself a full new outfit? If you can’t remember, then it was too long ago. However, when you hit the mall, don’t stick with the same old garments you always buy. Become a new, confident version of you. Draw upon the experience of shop assistants so you can walk out with an outfit that enhances your figure and suits your personality. Whether you’re a man or a woman, there’s something cleansing and exciting about changing your hairstyle. However, men will only do it around four times in their peak adulthood, with women more likely to do it every 18 months. If you’re tired of looking in the mirror and seeing the same face and style, then take a trip to your local salon. Try something new, exciting, or even drastic that will see you looking and feeling great in the new year. Not everyone is comfortable or confident with the skin they’re in. However, it can be hard to make a change. When you’re stuck in a rut, or you’re used to doing things a certain way, you can forget that another way exists. Make 2019 your year. Look at cosmetic dentistry to grin with confidence, change up your hairstyle, invest in a new wardrobe, and get fit and healthy. You’ll then glide into 2020 looking every fit as fabulous as you feel. It is an exciting time to be a new parent – exciting but also harrowing when it comes to deciding the best way to do just about everything. With regards to feeding your child and ensuring their growth and development, it can be difficult to get the best information. There are many conflicting opinions over concepts such as formula milk and it can be difficult to know what to do! Naturally, there are a variety of opinions on this matter but it is always best to know the facts of the matter. 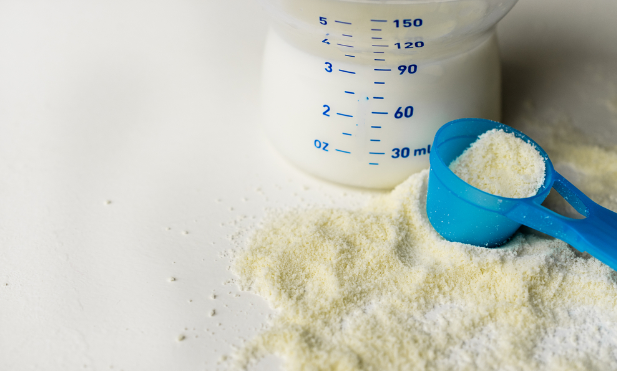 Some people swear by the ‘breast is best’ rule when it comes to feeding their child but formula milk should not be overlooked as it has a lot of benefits to offer. Let’s take a closer look at formula milk and how it can be of benefit for your family. If you are looking to establish a more equal parenting regime in your household, formula feeding your child can help to ensure that no one parent is the primary caregiver. In our contemporary society, formula milk can provide a great option for progressive parents who want to ensure that each parent has equal responsibilities with the newborn. In the long run, this can also lead to more balanced family dynamics when your child is older. While it can sometimes be looked down upon by your breastfeeding friends, pay this no mind. Formula feeding can provide a higher degree of convenience and freedom for new mothers. After giving birth, new mothers should be able to take advantage of alternating breastfeeding with formula feeding to give themselves a break. It can be easier for both your bodily health but also on your mental health. You can also eat and drink whatever you would like, as it will not affect the newborn. For working mothers, formula feeding can also provide a number of real benefits. While it is completely natural, contemporary breastfeeding usually requires mothers to carry a lot of equipment with them. By formula feeding, you can cut down on this hassle and settle into the convenience of simply using a bottle. Formula milk also has the fantastic advantage of being easily quantifiable; that is, you can measure the amount of nutrition that your newborn is getting. On the other hand, breastfeeding can create some ambiguity in knowing if your baby is being adequately fed or not. Thankfully, formula milk offers a nutritious alternative to natural milk. Better yet, it often contains vitamins and minerals that are absent from breastmilk. Substances such as vitamin D and the fatty acid DHA are essential for the healthy development of your child. Both are commonly found in formula milk. It is important to read the labels on any formula products that your baby will be consuming to ensure that they are getting what they need. This can even promote a healthier environment for the rest of your family with regard to nutrition awareness. If you want to ensure that your whole family – especially your newborn – is healthy, then certainly consider formula milk as a viable option. Choosing to use formula milk instead of breastfeeding carries with it a number of real benefits – for you, your newborn, and your family. While it is not always an easy choice to make, in light of polarizing cultural and even political views, no one should be shamed for choosing formula. Whatever you decide to do with your newborn, make sure that your entire household is on track to be healthy and happy. 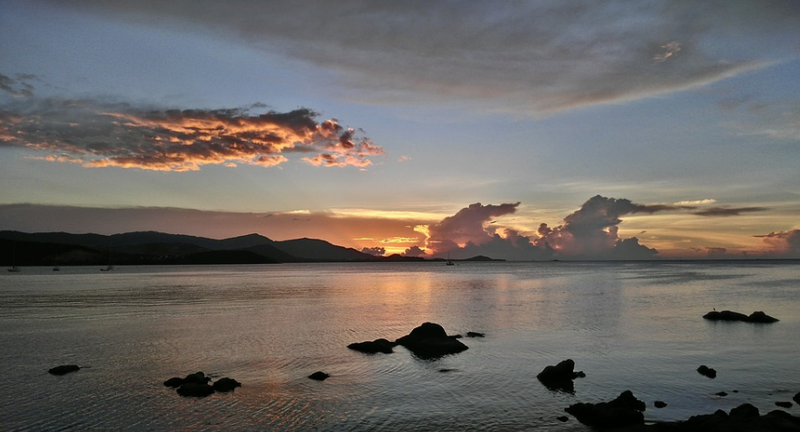 Located to the east coast of Thailand is one of the country’s largest islands – Koh Samui. Apart from being a fishing municipality, the area is a tourist destination known for its incredible cuisine. It’s also known as one of best beach brunches in Southeast Asia. Koh Samui is filled with restaurants that serve both local and international foods at affordable prices. There are also luxurious restaurants that serve those people interested in spending more. In addition, some eating establishments have in house entertainment for those people that cannot eat without some music. For breakfast, one should go to the Bophut beach area where there are several restaurants that serve both vegan and non-vegan diets. While there, one can also try the local breakfast which includes pad Thai, some green curries, and sticky rice. It can be quite a treat if one is not used to eating heavy meals for breakfast. Traditional English breakfast made up of eggs, sausage, tea, juice, and some bread is also available in some restaurants. For those that must have a fully vegan breakfast, they can go to the Chaweng or Lamai beach area where restaurants serve vegan breakfast buffets. Brunch in Koh Samui is a big deal, and many restaurants compete for customers. Sunday brunch at Sunday Sessions, Beach Republic is a popular place for this kind of meal. Beach republic offers a variety of brunch options for the diners; from waffles to indigenous Thailand fruits to lobsters and other types of fish. There is also a grill section for those that love barbecue. And to top it all off, there are a variety of drinks offered during and after meals. Being an island, it comes as no surprise that most of the restaurants in Koh Samui serve seafood. The restaurants serve some amazing lobsters, crabs, prawns, clams, and other types of fish. With most eateries located next to the beach, those who visit these restaurants have wonderful views of the ocean. Another place with amazing food and a magnificent view is Chaweng beach. This restaurants found in this area allow visitors to marvel at the captivating hill ranges overlooking the area as they have their meals. For those on a budget, they can try Koh Samui’s street food, which often includes fried chicken, corn on a cob, banana pancakes, and crunchy insects. For dinner, Chaweng beach is still the preferred destination because of the numerous restaurants that are lined up along the shores. The setting makes for a romantic candle lit dinner by the beach as one stares at the stars and the moon. Most eating joints also have live band performances to create the mood for the evening. Interestingly, despite being a fishing town, there are some restaurants that actually serve pasta and pizza. One can also eat burgers and fries if they are not for the local delicacies. However, even if one has their doubts about local food, they should try the famous Tom Yum or Pad Thai which have a unique taste due to the various indigenous spices and herbs used to make them. A quick word of advice, if someone wishes to try out the European cuisines, they have to book days in advance because the space in those restaurants is limited. After a satisfying dinner, one can visit a number of beach clubs around Chaweng and Bophut beach area. The drinks are not expensive, and the music is good with most clubs playing popular western songs. Some entertainment spots hire international djs from Europe to make the party experience memorable for visitors. The bars also serve a number of cocktails for those eager to try out new drinks. The streets are well lit at night so that revelers can easily move from one club to another. Interestingly, most joints have an ‘open plan’ layout that makes the place seem bigger than it actually is. Eating out in Koh Samui can be fun if one knows the right places. This article contains a list of worthy places to eat in Koh Samui. For the first time traveler, they will be amazed at how simple foods like coconut can be used to make a really tasty meal. For the return traveler, the food always tastes the same if not better. There comes a time in every car’s life when you’ll feel compelled to make a decision on what to do with it. Perhaps your vehicle is a fairly new one that’s suffered such damage in a collision that it’s a total write off. It could be an ancient relic that’s been gathering rust in a forgotten corner of your backyard. Either way it couldn’t be easier to get rid of junk car for cash. The guidelines below are showing you what to do and not to do when thinking about selling your broken car. You can find out the prices of vehicles in a similar condition by looking through websites on the internet. Better still ask a properly qualified mechanic to make a detailed assessment. There are many enthusiasts who enjoy spending their leisure time restoring broken vehicles. It is a way of obtaining an expensive car at a bargain price. Some buyers are particularly interested in long forgotten vintage models that have been hidden away in farm buildings and garages. If you have any doubts about the value of an old car or truck it’s worth asking the opinion of an expert from a vintage automobile club. 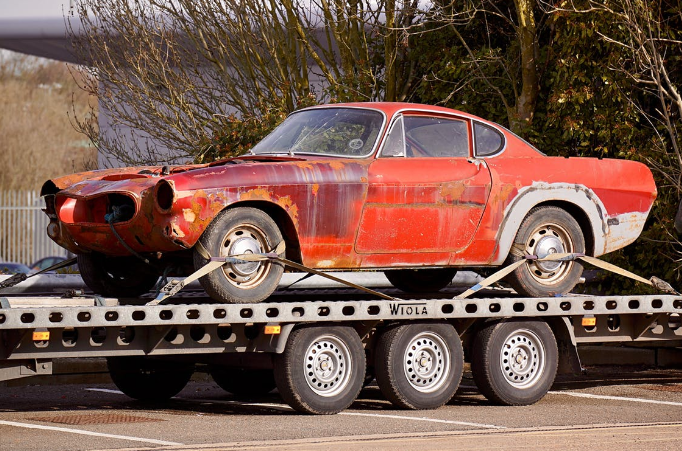 A reliable auto wrecker who will be only too pleased to buy your junk old cars for cash. Potential buyers of spare parts rely on them for their extensive knowledge and can be confident that any components are of a good condition. Find out the condition of your old car before approaching a dealer. If you are aware of the damage to expensive parts such as the engine your bargaining power will be so much the greater. It’s also beneficial to obtain more than one quote. A professional mechanic will provide you with detailed analysis of the car’s damage enabling you to be totally honest with potential buyers. You will be confident that the cash payment they offer is a true reflection of the car’s value as scrap metal. You will have the benefit of professional services that are fast and efficient. It will reduce the price of the initial cash offer. Not all companies charge for this service. When you want to get rid of your old junk car don’t just give it away for nothing. Every broken car has a value even if it’s only as scrap metal. Remember it isn’t a case of if you get any money but how much. Depending on the extent of the damage you might find it only needs a relatively small investment to make it road worthy again. Then you can use it yourself or make extra money selling it in a more marketable condition. Selling individual components unless you have a thorough understanding of spare parts. You’ll find it difficult to give detailed descriptions and could miss out on earning extra cash if your buyer knows more than you. Dealers will always take a broken car as part of a trade-in on a vehicle you’ve chosen as a replacement. They will offset the reduction they offer by the sale of your old junk car as scrap or for recycling spare parts. Never overlook your broken car’s failings if you decide to sell it privately. Even if you incorrectly market it through inexperience or lack of knowledge you can still find yourself being prosecuted for false advertising. One thing you can be sure of is that any faults will become apparent sooner rather than later. Sell your broken car to a scrap dealer without checking on their reputation, the services they offer and how they dispose of your junk car. Choosing a responsible car wrecker will ensure that your broken car is disposed of in a way that will be ecologically sound. Undamaged components will be recycled as spare parts and the scrap metal will be processed for the manufacture of other products. Hazardous substances such as battery acid and waste oil will be disposed of through eco-friendly methods. Check out these extra tips of where to sell your broken car and when you know it’s time to get rid of junk car for cash, by using a reputable car wrecking company you’ll not only earn yourself extra money but you’ll also be protecting the environment.